Despite being more connected than ever through technology in the modern age, in many ways we are more disconnected from each other than anytime in human history, with our time spread so thinly that finding time for family, friends, partners and even our children can be challenging. This has caused us to become conditioned to seeking instant gratification at the expense of taking the time for relationships, relying instead on the pings of notifications on social media at the expense of real relationships in our life. This has the potential over the long term for negative impacts on ourselves, as through social media we miss the nuances of seeing a twinkle in the eye or a tear roll down a cheek, as it is through the eyes that we create true connection. Through the eyes the right part of our brains light up with excitement as engagement and being in person is something that cannot be replicated through social media. These connections are critical for us as humans as they tap into on our inner resources, forcing us to pay attention, make time and be open to other perspectives that may oppose our own. When we are living a disconnected life our stress levels and anxiety can increase, which may lead to depression and a feeling of low self-worth. This can have serious impacts upon our mental and physical health causing interrupted sleep, compromise our immune systems and increase our blood pressure levels, with research showing that people who have solid connections with family and friends have up to 35% fewer illnesses. This is a very serious issue, and in the most extreme cases feelings of isolation or loneliness can contribute to higher rates of suicide, with one study reporting that social isolation was linked to 50% of premature deaths. So what can we do to as a society to tackle this issue and help our family and friends who may be feeling isolated and alone? The first step is for each of us is to be conscious of loneliness being a real problem in society. To take time to give thought about how you can make a change in the lives of others by making a conscious effort to connect with those around you. If we all took this step we can create a ripple effect, a kind of ‘Pay it Forward’ moment, as more and more people begin considering and finding time for others in the world that may be lonely. 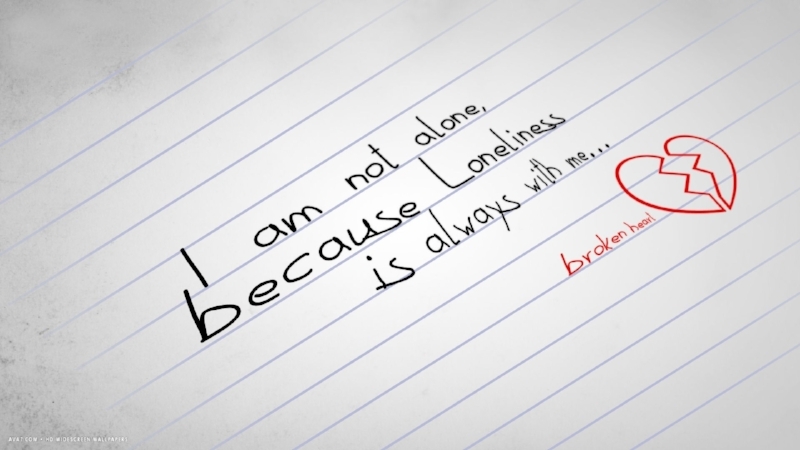 Raising awareness of the issue of loneliness is critical if we are going to create a movement for change. So talk, talk and talk then talk some more, as the more people become aware of the issue, the more that then will be looking to connect with around them. So have conversations about loneliness with your family, friends, work colleagues and if you have a neighbour or family member who looks like they could benefit with closer relationships in their life, talk to them as well. Educate yourself about the importance of connection, of how the brain thrives when we feel connected to people and the community. Think about how to help someone that is lonely - visit someone in aged care, volunteer to help at a community service, or be the friend that holds connection better just because you have a bit more time than someone else. Keep sending that text to a friend to meet for a coffee and persist until they find that gap in their schedule. Put down your digital devices and spend time with your kids, partner, family and friends without half checking your email or social media pages. Believe me the world will not end because you are offline for a few hours. Try it and you may find out on all you have been missing in the world right in front of you, by taking your eyes off the screens and focusing instead on those who are actually around you. Remember as humans we are social animals and need connection to thrive, so by truly connecting with people in your life, you will find that you are not only impacting their world in a positive way, but yours as well. If you or someone you know is suffering from the effects of isolation and loneliness, then ensure that the right help and support is sought from a qualified counsellor, psychotherapist or psychologist, they can help and you do not have to go through this alone.